The 2019 National Safety Stand-Down to Prevent Falls in Construction will take place May 6–10 across the U.S. This annual event is intended to encourage employers and workers to have conversations about fall hazards, OSHA compliance, and industry best practices to prevent falls. 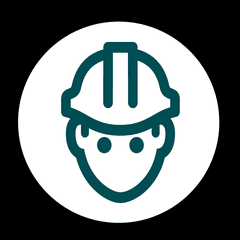 According to OSHA, fatalities caused by falls from elevation continue to be a leading cause of death for construction workers: in 2017, 366 of the 971 fatalities recorded in construction were attributed to falls. Workplaces that participated in past years’ stand-downs include commercial construction companies, residential construction contractors, independent contractors, and highway construction companies. OSHA encourages any employer who wants to prevent falls in the workplace to participate. Following the stand-down, participants will be able to download a certificate of participation and provide feedback about their experience. The OSHA website provides resources to help workplaces participate in the event, including free training materials, videos, and additional educational resources.